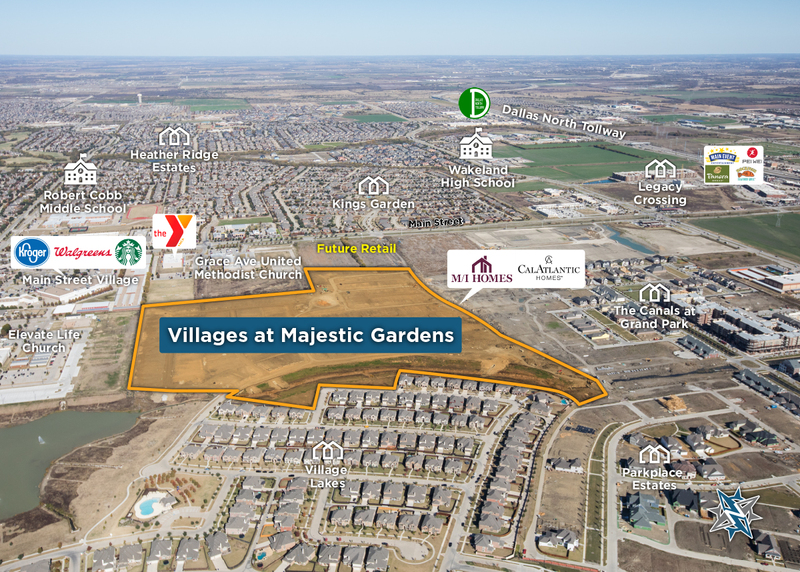 In April 2016, Suncrest acquired 51 acres of land at Legacy Drive and Main Street in Frisco to develop a community called Villages at Majestic Gardens. Villages at Majestic Gardens offers both single-family homes and townhomes for a total of 250 residences for sale by M/I Homes and Lennar Homes. 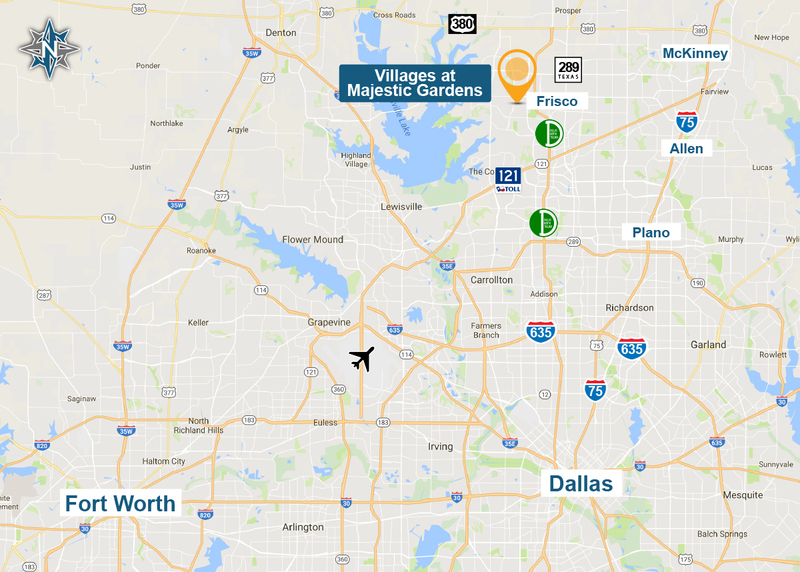 The main entrance to the neighborhood is situated on the south side of Main Street, just west of Legacy Drive along the future Majestic Gardens Drive in Frisco. The community will include large areas of landscaped open space, parks, walking trails, a children’s playground and a dog park. The location is well appointed just north of the “5 Billion Mile” near thousands of jobs, in one of the most sought-after sub markets in the country.